instructor / advisor for the Associated Students of Solano College Student Government, (ASSC), the Chair of the Faculty Association Grievance Committee, and is currently a member of several academic and administrative committees. 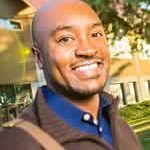 Dr. Powell is the Faculty Coordinator for the Community College Pathway to Law School (CCPLS) Initiative at Solano College, where he leads the efforts of several faculty, staff and administrators toward providing a seamless pathway for students to law school. He provides resume building and interview consultation for persons seeking instructional positions within the Community College system, and consistently serves on administrative and academic hiring committees. He is a published author and teaches a wide array of courses emphasizing politics, law, history and economics. Aside from his Doctorate in Jurisprudence, Dr. Powell holds a baccalaureate degree in Political Science from the University of California, Davis, where he still functions as a advisor for the undergraduate Lambda Kappa chapter of Phi Beta Sigma Fraternity Inc.